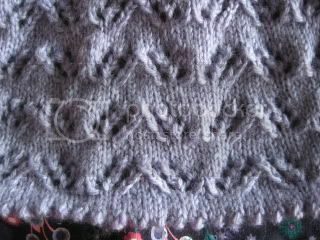 A very quick post this morning - i've just taken photos of my latest knit so i thought i'd pop them up here. 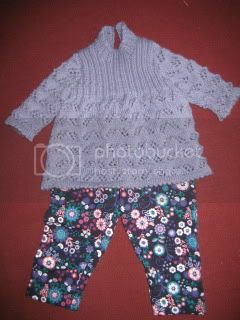 I've decided that this will be her coming home outfit and i bought some matching leggings. The lace pattern on the front turned out perfect, and the picot edge is super cute don't you think!!! I'd like to knit the matching mittens and hat too, but i'm going to start my next pair of socks next so they might have to wait until after my socks! !